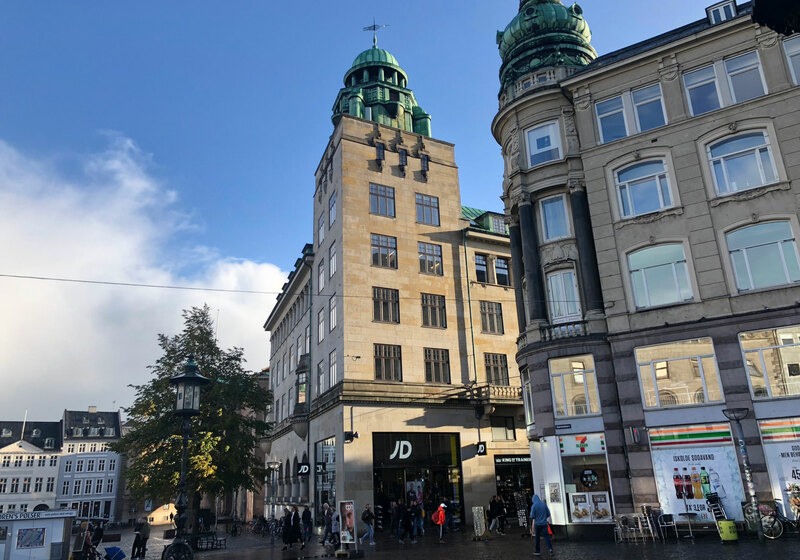 This centrally located listed building dating back to 1908, was converted in 2016 into the Copenhagen City Court and a significant high street retail unit. There are six courtrooms, deliberation rooms, meeting rooms, offices and a canteen. To maximize the ceiling height in the primary rooms the acoustic ceilings panels were mounted directly on to the deck with the installations left visible. The building’s constructive principle was emphasised by separating the new ceilings from the existing structure and the linear lighting was integrated in the ceiling panels. On the ground floor a new retail space was established with a double height entrance. With respect for the original facade new large display windows were established towards the pedestrian streets of Strøget and Nytorv. The building represents a contemporary transformation with focus on creating attractive and functional space in a listed building.